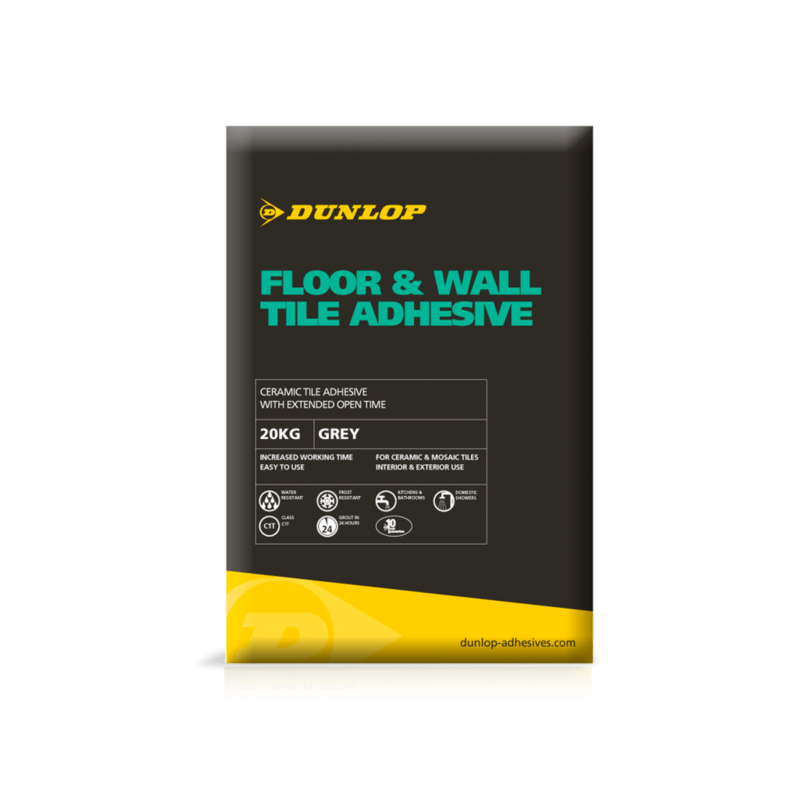 DUNLOP FLOOR AND WALL TILE ADHESIVE is a water-resistant floor & wall tile adhesive, suitable for fixing ceramic floor and wall tiles, vitrified tiles and mosaics, quarry tiles, brick slips and stone claddings in interiors and exteriors. This product is not suitable for porcelain tiles unless a flexible additive is used i.e. DUNLOP FLEXIBLE ADDITIVE. DUNLOP FLOOR AND WALL ADHESIVE is frost and water-resistant and can be used in showers, swimming pools or under continuous immersion. Depends on the nature and flatness of the surface and the method of application, but on a level background the amount of adhesive required at 3mm thickness will be: approx. 2kg/m² for dry wall areas. Approx. 3.5kg/m² for floors, exterior and wet areas.